Feb 13 SIDE STRIPE PALAZZO PANTS!! Although these pants are not athletic, you can actually style them pants in 3 ways, 1-casual look with tennis shoes, 2- dressed up look with heels/blazer, 3- Business casual with a nice top. An easy way to style these pants for work is by pairing it with a blazer. I did this the other day but did not document unfortunately. but I styled it with an off shoulder top as below for a semi casual/dress up look. It looks dope!! 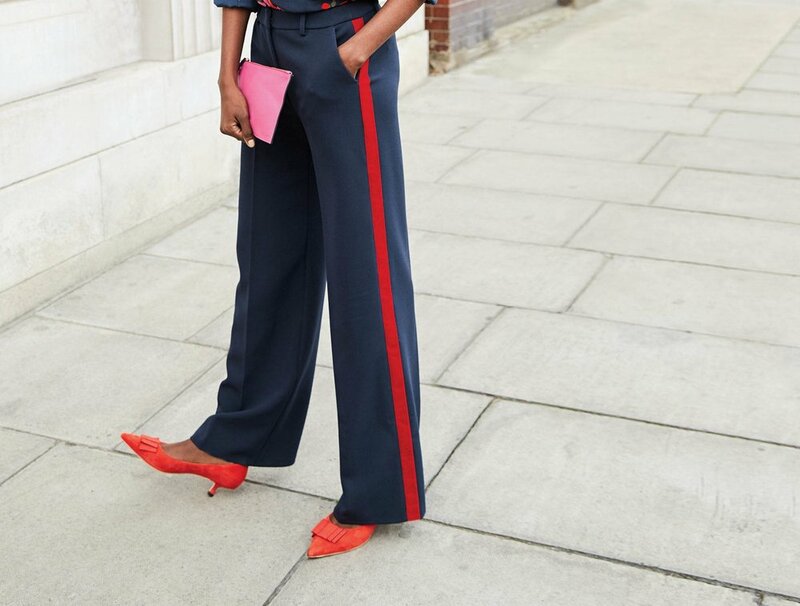 These pants are very comfortable and flowy and the red bold stripe just gives it that chic look to the outfit. I didn’t want to overdo the red so I decided to match it with a black little bag and a white cardigan with stripes. I hope you guys enjoy this look. I have linked similar pants below as always. Feb 7 ARE YOU RED-DY!!!!!! HOW TO WEAR ALL RED EVERYTHING!